Composer Ben Prunty creates soundtracks and sound effects for video games. One of the featured speakers Saturday was sound designer Ben Prunty, who integrates audio into some of the most popular independent video games. Prunty composed the soundtrack to the computer game Faster Than Light, which was nominated for IGN's Best Overall Music and Best PC Sound of 2012. In the spaceship simulator game, players get to explore the galaxy, while acting as captain of the ship. "You're commanding your crew, you're telling your crew to go fix the engines or go put out this fire in the room," Prunty tells NPR's Arun Rath. Prunty says he aimed to create a retro sound in the overall feel of the game. "The game itself looks retro," he says. "It looks like a PC game from the '80s." He hunts through online sound libraries to find unusual sounds to build texture. "I found a sound library that was all just recordings of light bulbs being struck," he says. "It's really strange, but it made for unique sounding percussion, and it's giving the game a very unique sound that you won't hear ... anywhere else. " When the crew has to take on enemy ships, special music accompanies the battle scenes. Prunty says there are special secrets to getting all of the sounds to blend together. For example, he'll write two versions of the same track, but one has an extra element, like percussion. "While the game is going, [the tracks are] technically both playing at the same time, but then it cross-fades between the two," he says. "So when the battle starts ... it just sounds like it's suddenly changing to a more exciting piece." The soundtrack tune "Milky Way" has become a fan favorite, and Prunty says he's not really sure why it's caught on. "We included it in the trailer, so it was the very first thing that everyone heard. It's very retro." You're listening to ALL THINGS CONSIDERED from NPR West. I'm Arun Rath. RATH: An excellent soundtrack can make any video game feel cinematic and epic, drawing you deep into a virtual world. Ben Prunty creates some of that music for a few of the popular independent video games out there, including this song, "Mantis," from last year's giant hit "Faster Than Light" or "FTL," nominated for IGN's best overall music and best PC sound of 2012. This week, Prunty is one of the featured speakers at the IndieCade Festival in L.A., a gathering of independent game developers from around the world. And he joins me now in the studio. Ben, welcome. RATH: Tell us about this game, "Faster Than Light." How do you play? RATH: It's more strategy in chess game than first-person shooter, kind of. RATH: Let's hear a little bit of the battle sound, though, first. RATH: All right, that's clearly a battle. Definitely something in a marshal mood. How do you make it so the music reacts to what's going on? PRUNTY: There are two tracks. I write a piece of music, but it doesn't have percussion, let's say. And then I'll write another version of the same track that has the same musical cues, the same chords, but then I add, let's say, percussion over that. While the game is going, they're technically both playing at the same time but then it cross-fades between the two. So when the battle starts, it just cross-fades to the other track. And it just sounds like it's suddenly changing. RATH: So they're all running simultaneously. RATH: Well, like an old eight-track tape player, right? PRUNTY: Yeah, a little bit. Yeah. PRUNTY: Yeah, except the game's doing it when you're playing, yeah. RATH: Right. You're currently working on sound for an upcoming game called "Gravity Ghost" with Indie game designer Erin Robinson. What was her vision for the music in this new project? PRUNTY: "Gravity Ghost," Erin was like, I want it to be kind of weird and whimsical. RATH: What did you add to make it weird (unintelligible)? RATH: Let's take a listen to that. RATH: What's your setup as you're writing and deciding what kind of sounds you'll be pulling in? Like, what's your kind of bank of sounds that you're pulling from? PRUNTY: I find libraries online. There are a lot of unusual sound libraries. I found a sound library that was all just recordings of light bulbs being struck. And it's really strange, but it made for neat-sounding percussion. And it's giving the game a very unique sound that you won't hear, like, anywhere else. RATH: I want to play a little more music. There are some fan favorites out there. This one's called "Milky Way." RATH: Let's hear a little bit of that. RATH: It's one of the more retro ones, for sure. PRUNTY: It's very retro, yeah. RATH: But it really puts you in that space. RATH: What kind of stuff do you listen to? What sort of music do you listen to for inspiration or just for pleasure? PRUNTY: I'm a huge fan of funk music, and that kind of influenced "FTL" a little because there's a lot of, like, strong baselines in "FTL." RATH: Uh-huh. Nice. You know, I'm going to go back now and see if I can hear any traces of Bootsy Collins in those games. But, Ben, that was great. Thank you so much. RATH: Ben Prunty is a sound designer for Indie video games. 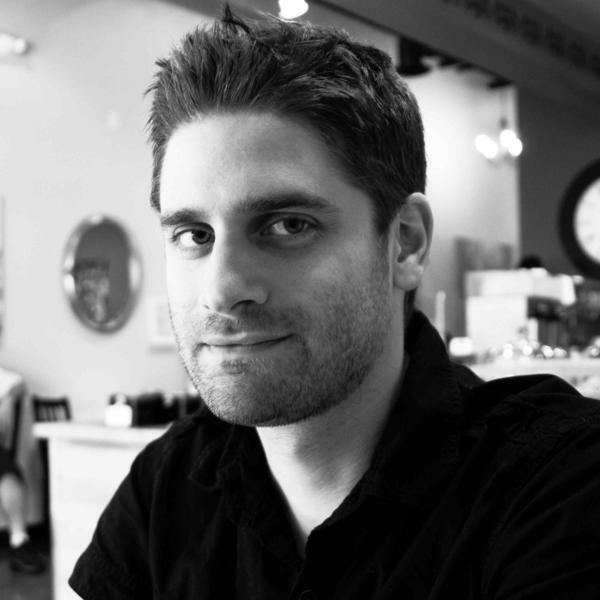 He's one of the speakers at this weekend's IndieCade, the gathering of Indie game developers. Ben, thanks again.